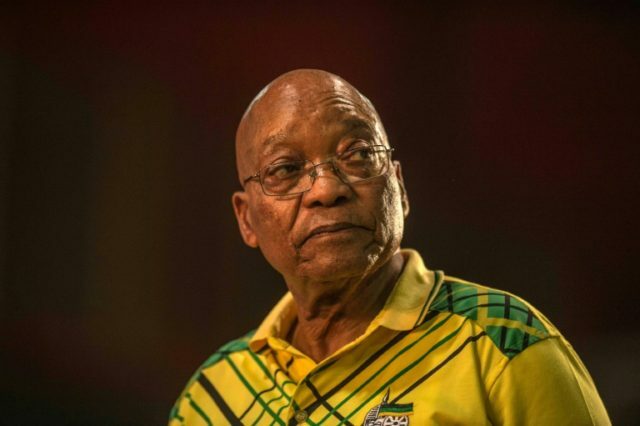 Johannesburg (AFP) – South Africa’s ruling ANC party confirmed Monday that discussions were underway on President Jacob Zuma leaving office, but said no date for his departure had yet been agreed. Zuma has been under growing pressure to resign since he was replaced as head of the African National Congress in December by his deputy Cyril Ramaphosa. The party executive “discussed this matter… there will be interaction between officials, President Zuma and (party) president Ramaphosa,” party secretary-general Ace Magashule told reporters. “There isn’t any decision taken to remove Jacob Zuma,” he said. Zuma’s presidency has been mired in corruption scandals and tarnished by a weakening economy, with the party losing public support ahead of next year’s general election. Ramaphosa’s supporters are keen for him to take over as president immediately and try to revive the economy before the election, when the ANC could lose its dominance for the first time since the end of apartheid in 1994.